Today's Dwelling is Ella Klenner and Fausto's House by the Wild Sea. Ella first exhibited with Collect Connect in The HideBird Magnet Show as part of the E17 Arts Trail in 2012. Ella lives and has an art practice in the German town of Bad Oldesloe in the north of Germany. Ella's art works cover a wide range. For example the whimsical and beautifully elegant House by the Wild Sea to the eerie and atmospheric Allien below and her beautiful nature studies of woodpeckers and foxes. It is great to have Ella join us for the Dwell Project. We note that House by the Wild Sea is by Ella and Fausto but we remain uncertain of who Fausto is. The partnership has worked well for Dwell giving us a net which is deceptively simple and a finished piece which is dynamic, potent and evocative. We placed Ella and Fausto's House on one of the many stairs leading down to the River Thames. This particular staircase is on the North Bank near Tower Bridge. The river water was sloshing and slapping against the worn stone steps, chucking up globs of frothy, murky water. 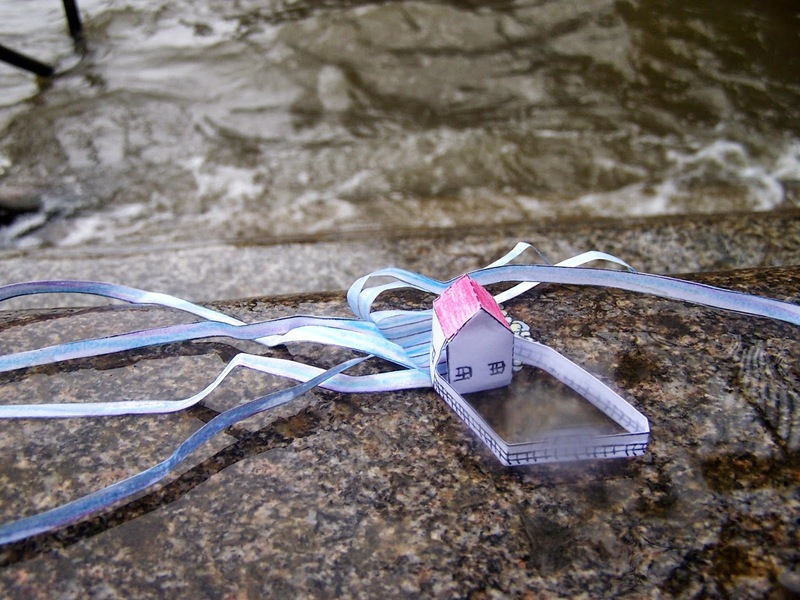 We placed the small, frail seeming paper structure on a step and waited for the river to claim it. The little house survived a few splashes before being swamped. 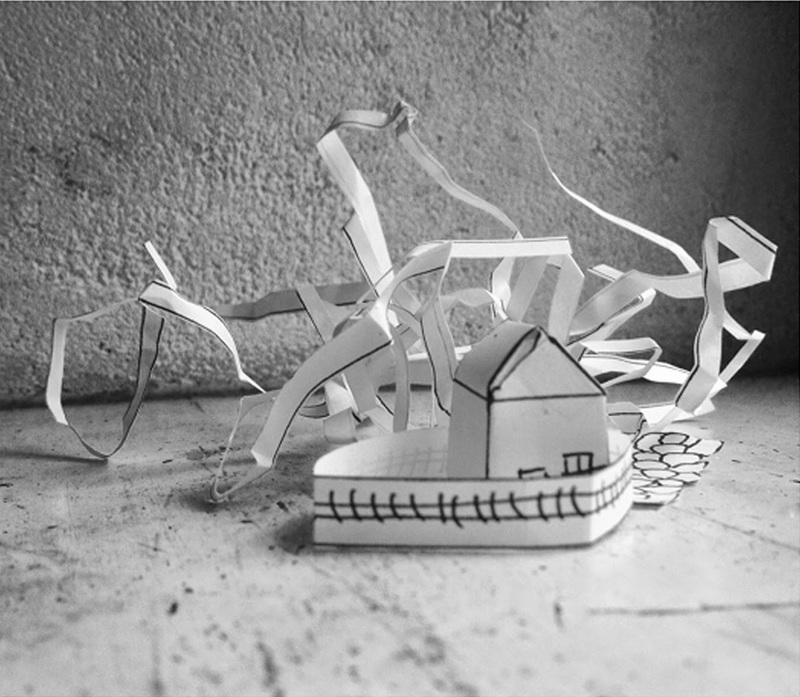 One of the things I am enjoying about the Dwell project is the sense of fragility and freedom that comes with placing paper structures in the city. There is an uneasy relationship between the lightness of the paper and the indurate environment of London. House by the Wild Sea provokes similar feelings in me; the plain little house with its garden fence stands alone against the backdrop of the vast sea and the house is all the more precious because of its vulnerability.